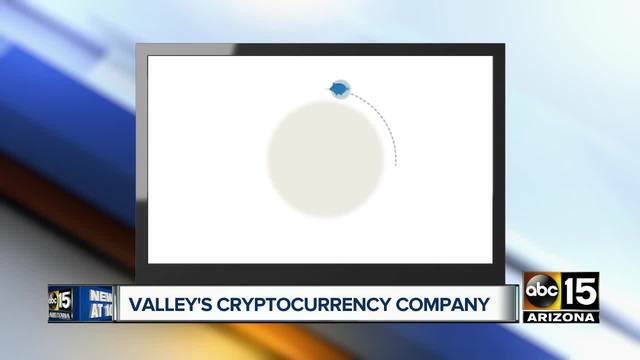 SCOTTSDALE, AZ – Dash is digital cash (also known as cryptocurrency) based right here in the Valley. The Scottsdale company was started in 2014 and has hundreds of thousands of users. “Dash network is very similar to Bitcoin, in fact, we are based on Bitcoin’s code base,” explained CEO Ryan Taylor. Taylor believes the digital currency industry is transforming the way people do business. More than 500 merchants accept Dash and that number continues to grow. Taylor said it is an especially popular way to pay for goods or services with high chargeback fees. Dash’s value changes constantly, as it is bought, sold and traded on digital exchanges. Taylor said the company is seeing massive growth and its market cap is hovering between $8 and $9 billion. Even with numbers like that, Taylor knows many people still aren’t taking cryptocurrency seriously. “A lot of people are dismissive because they figure it’s not backed by anything, and my response to that is neither are any of the currencies we use,” Taylor said. If you’re new to the cryptocurrency industry, Taylor suggests signing up for newsletters online and learning what makes each currency different. There are more than 1,000 cryptocurrencies to date — all with different potentials. Taylor also suggests starting slow and using caution and only investing what you can afford to lose. Based at ASU’s Skysong offices in Scottsdale, Dash has donated more than $400,000 to the university to further educate students on this newest form of money.